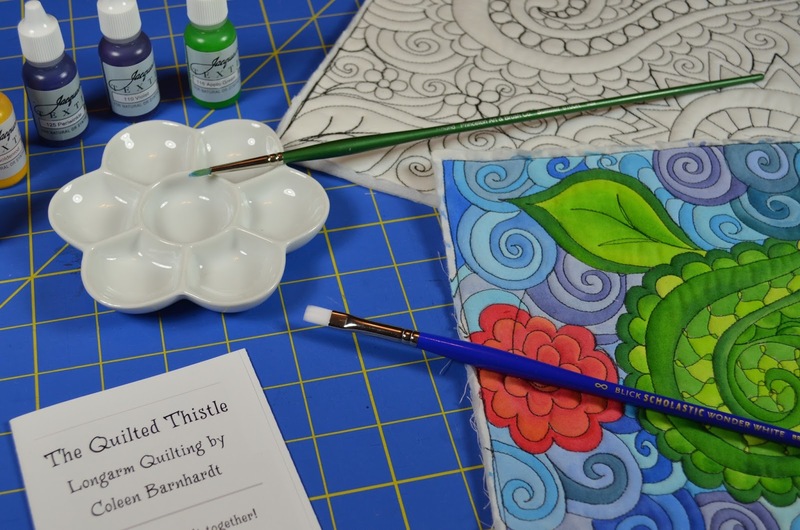 I am teaching my new workshop, Coloring Quilts – Tips and Techniques locally at The Pine Needle Quilt Shop in Lake Oswego, Oregon. We currently have classes scheduled for January 30th and March 12th. I’d love to see you in class – sign up soon before they fill up! 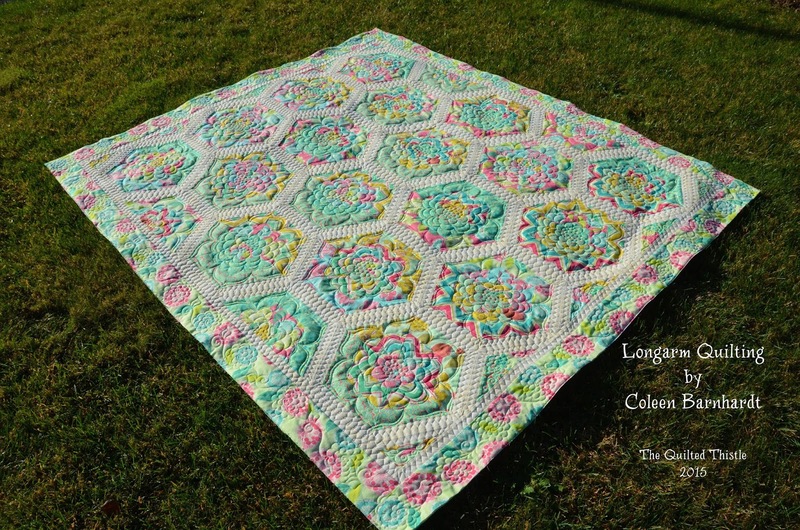 Even though I am in the middle of the Christmas quilting rush, I just had to take a few moments out of my day and show you the photos from a recent finish. 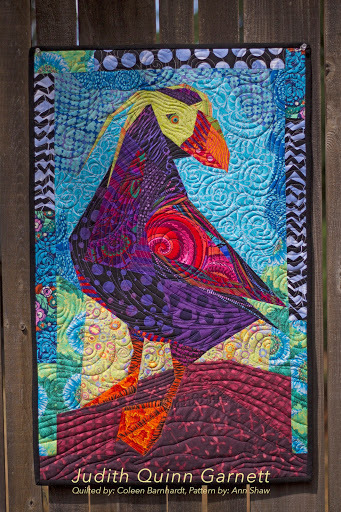 This quilt top was brought to me by Kimberlee Hill. I just love the fabrics and colors. I was a little worried when I took the photos of this quilt because it wasn’t the ideal time of day, but when I uploaded the pictures to my computer today and got a look at them, I actually squealed.